Although initial version of Java, the 1.0 by itself extraordinary, the latter changes to Java were equally important and have highly evolved over the previous versions. The Java team added lot of important improvements for every release, which keeps Java current and highly useful. Below mentioned are the various releases and changes done in every release. 1.1 1.1 Although only minor version number was changed, it was much significant than that. It added many new library elements, redefined the way events are handled and reconfigured many features. 1.2 Java 2 This is a second generation version. 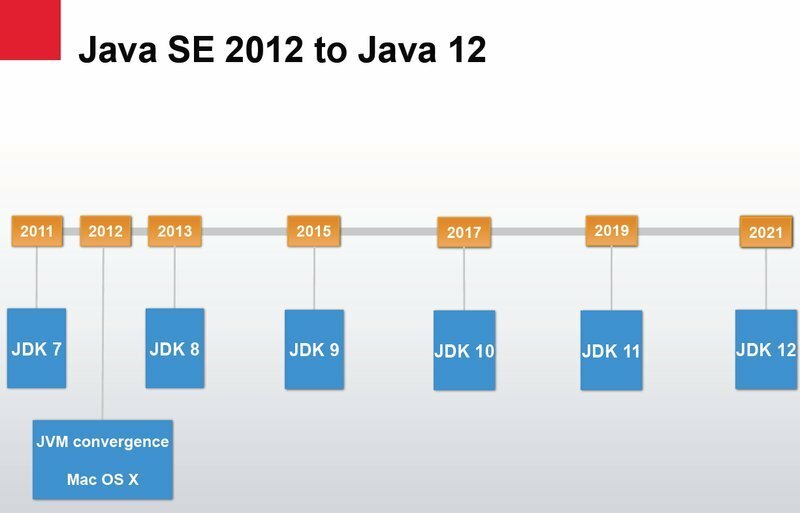 With this Java was repackaged as J2SE (Java 2 Platform Standard Edition). This version added features like Swing, Collections framework, enhanced JVM and programming tools. It deprecated few methods in Threads like suspend, resume and stop. 1.3 J2SE 1.3 It added to existing functionality and tightened up the development environment. Version 1.2 and 1.3 are source code compatible. 1.4 J2SE 1.4 This added new keyword assert, chained exceptions and channel based I/O subsystem. It also improved Collections Framework and networking classes. 1.5 J2SE 5 This was revolutionary and it expanded the scope, power and range of the language. The changes include Generics, Annotations, Autoboxing - Auto unboxing, Enumerations, Enhanced for-each style for loop, variable-length arguments (varargs), static import, Formatted I/O, Concurrency Utilities. The JDK was called JDK 5. 1.6 Java SE 6 Added incremental improvements, enhanced API libraries, added several new packages, offered improvements in run-time. The JDK was called JDK 6. 1.7 Java SE 7 This is the first major release after Oracle acquired Sun Microsystems. The changes done are : String can control a switch statement, Binary literals, Underscores in numeric literals, an expanded try statement called try-with-resources, that supports automatic resource management, type inference, enhanced exception handling in which two or more exceptions can be caught by singly catch (multi-catch) and better type checking for exceptions that are rethrown. Although not a syntax change, the compiler warnings associated with some types of varargs method have been improved and we have more control over the warnings. Fork/Join Framework, helps in creating scaleable applications that automatically take advantage of the available processors. The JDK is called JDK 7.